Immigration advocates on Thursday held rallies in the Bay Area and across the nation in protest against a Trump administration policy that separates some undocumented immigrant families. 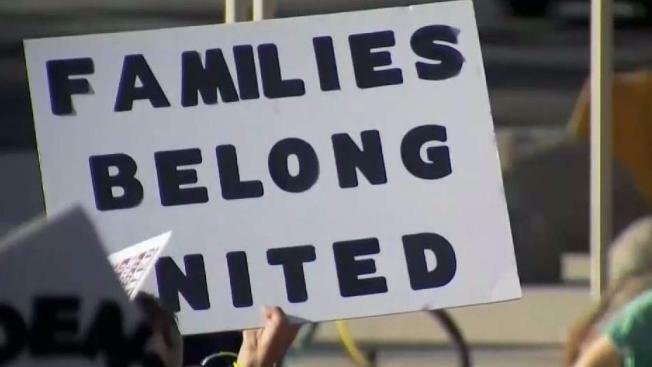 Local rallies, united by the battle cry "Families Belong Together," took place at San Jose City Hall and Hayward City Hall. NBC News reported that Casa Padre, the largest licensed child care facility for undocumented immigrant youngsters in the nation, housing nearly 1,500 boys between the ages of 10 and 17, "looks more like incarceration than temporary shelter." The boys in the converted former Walmart in Texas crossed into the country by themselves or became separated from their parents as a result of the Trump administration's new zero-tolerance policy. Roughly 700,000 families are waiting for a court date as a result of the policy. Attorney General Jeff Sessions said he is assigning more prosecutors and judges to move the cases along. 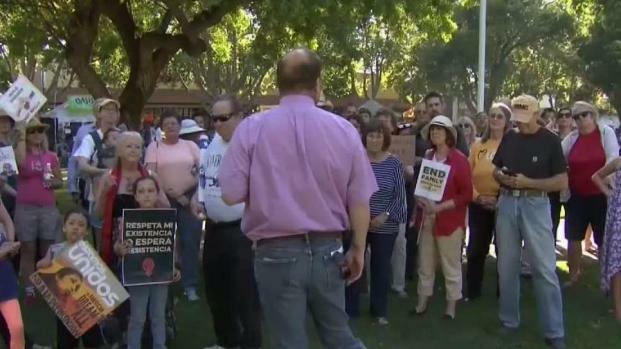 Immigration activists held a rally at Todos Santos Plaza in Concord, saying the separation of families is inhumane and unjustified. Christie Smith reports. With Congress poised to change the law allowing families to be separated next week, Republicans are agreeing to address immigration. "We can come together on the fact that families need to be unified," Republican Rep. Mark Meadows from North Carolina said.